The president has had his hands full these days. Problems at home and abroad are pressing from all sides, and even though he no longer needs to worry about his re-election bid, Barack Obama has plenty of other worries to keep him up at night: A quickly-approaching fiscal cliff, yet more fallout from September’s Benghazi attacks, the appointment of the next Secretary of State, uncertain outcomes from the latest conflicts between Israel and Hamas, continuing violence in Syria, and a still-unresolved nuclear bone to pick with Iran, just to name a few. But one story that hasn’t gotten much attention, from president or press, is the ongoing violence and chaos that has gripped Mali for the past eight months. Perhaps a bit of history is in order. Back in March, a group of soldiers staged a coup d’état, seizing the presidential palace and dissolving the government. In the aftermath of the coup, a group called the National Movement for the Liberation of Azawad (MNLA, in the French acronym) unilaterally declared that northern Mali, an area known as Azawad, was to be a free and independent state. The rebels backed their words with deeds, taking the northern Malian cities of Gao, Timbuktu, and Kidal in a matter of days. After these gains, the MNLA was joined and eventually sidelined (or fought) by militant Islamist groups, a number of them with ties to Al Qaeda in the Islamic Maghreb. These Islamists are now the effective rulers of northern Mali (and have dropped the MNLA’s calls for secession), enforcing a brutally repressive regime on its inhabitants. 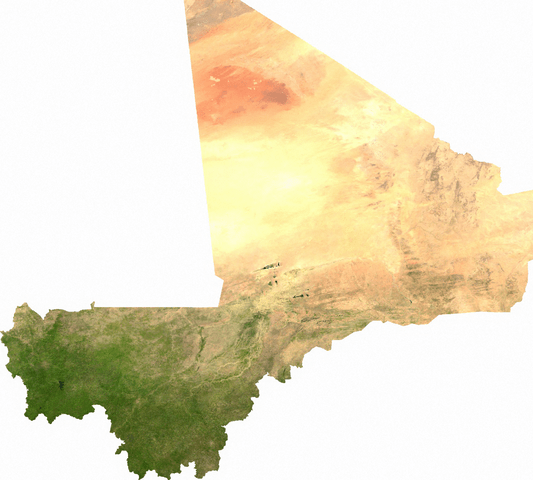 The groups, rather than hoping to split northern Mali off from the rest of the state, are instead looking to enforce their radical view of Shari’a law on the entire nation, putting the still-unstable south at risk as well. Reports coming out of northern Malian cities like Gao and Timbuktu tell of public beatings, stonings, and amputations, forced marriages, and threats of grisly violence toward those regarded as “unholy,” such as unmarried pregnant women. Death tolls are uncertain, but with the region gripped by conflicts between and within rebel groups and radical mob “justice” occurring on what seems like a daily basis, the anarchic north may have seen hundreds killed so far. Mali’s is more than a humanitarian and moral crisis, though it is both of those things. It could also quickly become a strategic crisis for the region, the Mediterranean, and even the US. Without forgetting the real human suffering happening daily in this desert, the West should recognize that, if left unaddressed, northern Mali could easily become “Africa’s Afghanistan,” a safe haven for radical Islamists and terrorists. We know already that a number of groups in the Azawad have affiliations with Al Qaeda, whose heart in Central Asia may have been destroyed but whose arms could still have far-reaching and deadly power. The Malian government is certainly ill-equipped (and not particularly willing) to evict the radicals from the north. So who should do it? The United Nations Security Council has already given the go-ahead for foreign military intervention, but not many powers have stepped up to the plate. There is a lack of willingness on the part of the West, particularly the United States and France, to become very involved militarily in Mali. Both countries have significant interests at stake in the region, and so would benefit from driving out extremists. France has had a number of its citizens kidnapped by the radicals, and the United States certainly won’t be better off for allowing a pocket of Al Qaeda influence to fester and grow, especially in light of September’s Benghazi attacks. This seems like a very contradictory approach. Even as the US says that terrorist factions based in northern Mali could become a grave threat if allowed to remain in power unchallenged, it refuses to commit militarily, and is reluctant even to commit to using attack drones in the future, a tactic problematic in our supposed ally Pakistan but likely to be much more straightforward and successful in the flat desert of northern Mali (see map). This hesitation could be ascribed to a noble refusal to expand the so-called War on Terror into yet another country, but such praise would be misplaced. Unlike past actions in Iraq, Pakistan, or Yemen, military action has the go-ahead in Mali, not only from the national government of the country itself, but from the UNSC and the region more broadly. The US wouldn’t be haphazardly dropping missiles on a dubious international mandate, but rather would be cooperating with an overwhelmed and desperate government. I’m not saying that the West needs to send 10,000 of its own soldiers (the rough UN estimate of the number of troops needed) into the fray, or even that it needs to send a fraction of those. Regional powers like Algeria, Nigeria, or Mauritania (not to mention Mali itself), perhaps along with the African Union, could take the lead, and the UN could contribute peacekeeping forces to make peace stick once it’s achieved. But the United States and France, both with a significant interest in excising the Islamists, can’t sit back and wait for others to solve the problem. There isn’t just a moral incentive to dismantle this regime; there are strategic motives as well. The US should step up and use its technology and military power to help the international force that may soon take shape. We don’t need to have “boots on the ground,” but drones in the sky might not be a bad place to start. We can’t afford to wait for Mali to become another Afghanistan. North Africa seems only to be growing in significance, and American leadership would be wise to recognize this. But this problem will require more than military might. If there’s anything that the West should have learned from our military excursions of the past decade, it’s that regional divisions and local grievances can’t be sorted out with airstrikes and Predator drones. Armed force will be needed to cripple the radical regime in the north, but ultimately Mali needs reconciliation to solve this problem. Foreign intervention should weaken the Islamists to the point that they have no choice but to join in real dialogue, and should protect the fragile interim government until it can get back on its feet and give the Azawad the attention it needs. For that matter, the international community should give Mali the attention it needs as well. We’ll all be better off for it. With a little more than a year to go before the 2012 presidential election, things are really heating up in the Republican Party. After a rather indecisive start, some GOP candidates are clearly emerging as frontrunners, while others have fallen too far behind to make up the difference (in fact, Tim Pawlenty has dropped out altogether). Meanwhile, President Obama has kicked his 2012 campaign into gear, advertising extensively online, and making speeches around the country. So who are the major competitors in this race? I can hardly claim to be a political expert, but the following is a rough primer on who I think will be the big players in the 2012 election, and a brief description of each’s views and opinions. 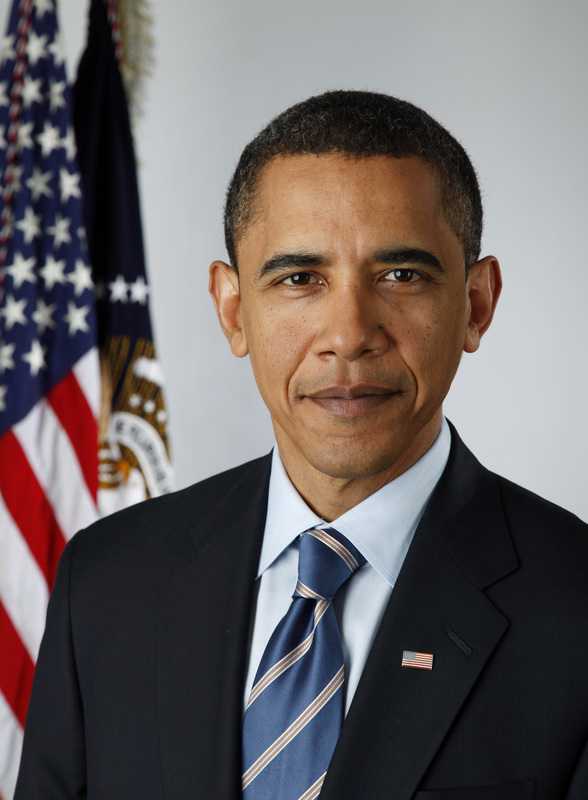 Barack Obama, Democratic incumbent. Can he pull it off again? 44th President of the United States, and the Democratic incumbent in the 2012 campaign. Obama has been raising a pretty substantial amount of cash for the race, and hopes to get up to a record-breaking $1 billion for the whole campaign, up from his $779 million last time around. But despite this, Obama may not stand all that great of a chance of winning. The most recent polling data from Gallup shows the president’s approval rating dropping down below 40% for the first time in his term. If that indicates anything about his success in the coming election, things aren’t looking great for him. Obama seems to be on the losing side here for two reasons. First, economics. Plain and simple. History has shown that the American people directly associate the success of a given president with the current state of the economy. And as the US goes into what may be a double-dip recession, more and more people seem to be blaming the President for what’s happened to their job, their house, and their bank accounts. Second, Obama’s record in the Oval Office has shown little sweeping change, and his accomplishments are somewhat spotty. His health care plan is faltering in state courts, Guantanamo Bay is still up and running, and we’re still in Afghanistan. Don’t get me wrong, he has made progress; taking out Osama bin Laden and pulling the country out of Iraq (to a large degree at least), just to name a few. But compared to such Democratic titans of change as FDR or Lyndon B. Johnson, Barack Obama doesn’t have much to show for his years in office so far. Michele Bachmann, candidate for the GOP primary nomination, House Representative, and presidential hopeful. Also, totally nuts. Republican House member, representing Minnesota’s 6th congressional district. Bachmann is a devoted part of the Tea Party movement, and was part of recent strong opposition to the raising of the federal debt ceiling (she, like many others, doesn’t seem to realize that the debt ceiling is raised so the US can pay off debts that it has already incurred). She is also a stalwart conservative, both fiscally and socially, and has a strong appeal to the Far Right and large numbers of evangelical Christians. Bachmann’s popularity and presence has been growing over the past weeks and months, and she resonates strongly with America’s substantial ranks of conservative Christian voters. She has also had two recent victories in Iowa: Coming in first at the Ames Straw Poll, and soundly defeating fellow Minnesotan Tim Pawlenty in heated debate at a Republican debate in the state. Pawlenty has since dropped out of the race for the GOP primary. But early success in straw polls and interparty debate doesn’t guarantee a good president, let alone a viable candidate in the general election against Barack Obama. Bachmann is similar to Sarah Palin in that she is loved by a specific demographic group (Far Right voters and evangelicals) and widely loathed by most others. Her extreme views and ideas simply don’t resonate with most people outside of her sphere of “Values Voter,” Tea Party influence. On top of that, she has shown little in the way of true leadership skills, and seems to be choosing to lead by protest, rather than by ideas. What do I mean by that? Bachmann is loudest when objecting to others’ ideas (namely, Barack Obama’s), not when suggesting different ideas that might work better. She is, in a word, confrontational, which is a quality that only helps someone opposing those in power, not someone in that position themselves. But then again, in this age of polarized, partisan politics, she may still have a decent shot at the presidency. Rick Perry, GOP candidate and current governor of Texas. Yeehaw? Current and long-time governor of Texas. 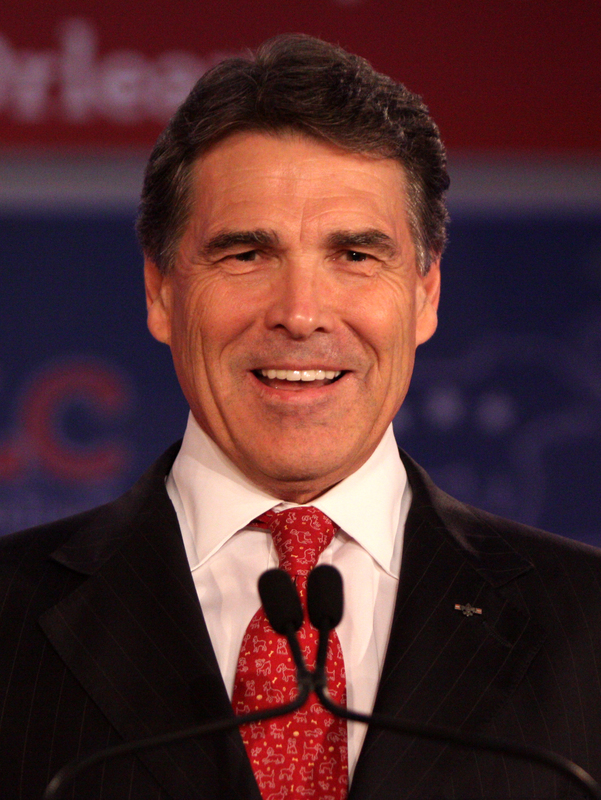 Rick Perry only joined the primary race this past Saturday, the 13th of August, after a few months of deliberating. (He said he would “definitely not” be running last December) Perry is something of an archetypal GOP candidate, being fiscally and socially conservative (and Christian). He has a long and, some would say, decorated history as governor of Texas, and claims responsibility for Texas’ relative success in creating new jobs during the recession. Even though he joined the race mere days ago, many political junkies believe that Perry stands a high chance of being the frontrunner’s (Mitt Romney’s) main competitor. During his term as governor, Texas created a much larger number of jobs than any other state in the country, and the numbers there were substantially above the national average. Now, this of course does not mean that Perry was directly responsible for these great numbers, and many would argue that the jobs created were the kind few people would be ecstatic about holding. But still, it looks good. So Rick Perry seems to have a great economic track record, especially concerning jobs, which are Americans’ biggest concerns at present. On top of that, Perry can talk the conservative talk, frequently promising to hack big government down to a minuscule size if elected. Add to that his conservative Christianity, prayer rallies, and gubernatorial experience (real leadership experience, unlike Bachmann), and Rick Perry seems to have a pretty straight shot at the Republican nomination. Any drawbacks? Being from Texas. While Rick Perry largely resonates with conservatives, his geographical ties to a recent and rather unpopular president may hamstring him. Though of course a candidate’s strengths and abilities don’t necessarily come from or are hampered by his place of origin, the words “Texan” and “President” still don’t sit together comfortably in the minds of many, particularly the more independent voters who still resent the last Texan to sit in the Oval Office (but who doesn’t?). Previous governor of Massachusetts (the 70th, to be exact), also-ran in the 2008 GOP primary, and deep-pocketed business man Mitt Romney. Businessman and former governor of Massachusetts. Mitt Romney ran in the 2008 GOP primary, and came pretty close to the nomination, though he ultimately lost to John McCain. 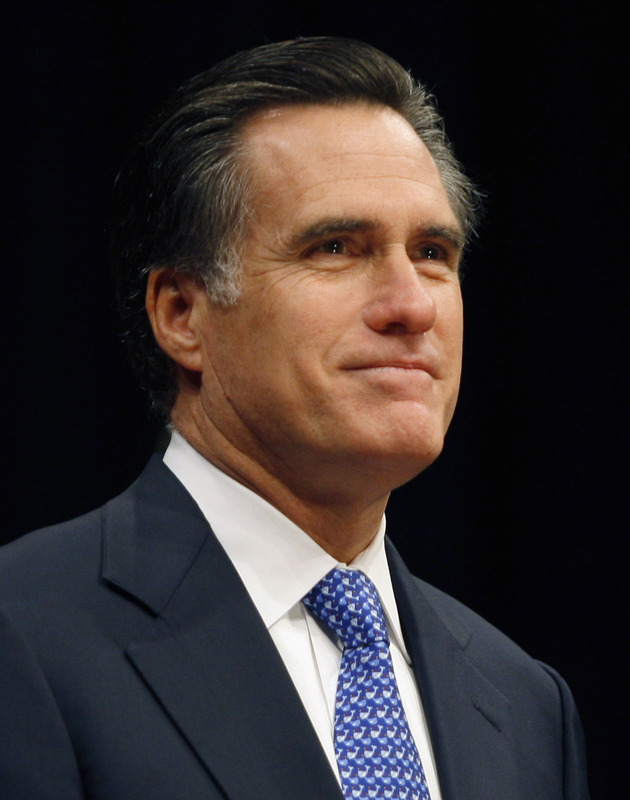 Romney is currently the decided frontrunner in the GOP race, leading in the polls and the pocket money (so to speak). 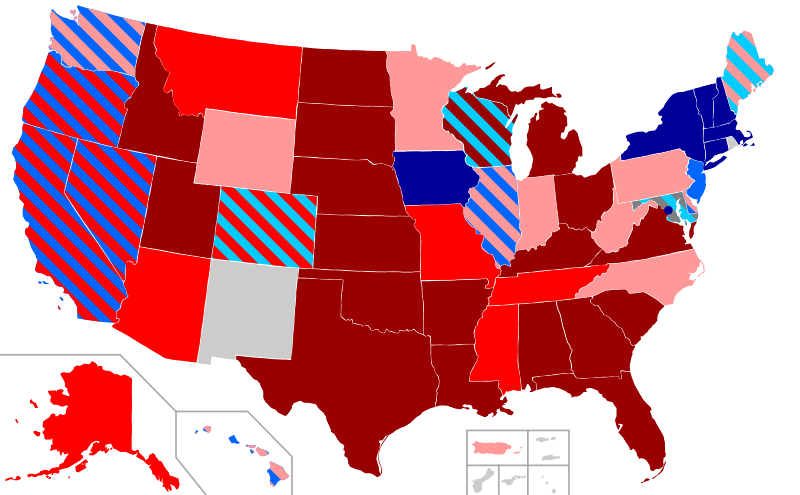 Romney has the benefit of name recognition from the 2008 race, as well as a pretty strong conservative history. He’s not as hard-lining as Perry or Bachmann, so he stands a better shot at winning over independents. Romney has a history of corporate leadership, and can claim to have experience leading a financial structure efficiently, which many people feel is exactly what this country needs (of course, part of that efficient leadership in Romney’s corporate life came from extensive job-cutting, but hey). Romney does face the drawback of his history. During his time as governor, Romney brought nearly-universal health care to his state of Massachusetts. Since that decision, Romney has taken a lot of flak from his conservative competitors about his “Romneycare,” which they claim puts him on equal footing with the much-disdained president. On top of that, Romney has become more conservative over the past years, which leaves him without the long history of conservatism that candidates like Perry and Bachmann can claim. So Who’s the Next President? I wish I knew! I’d like to say that I’m confident that President Obama will be reelected in 2012, but things are still up in the air. Obama hasn’t been the dealmaking, aisle-reaching president he ran as, but I do think he could still get some great things done in a second term in office. The GOP primary is still quite undecided, and the general election hasn’t even begun, so we’ll have to see how the situation continues to change. Come back later for another update on the race! With only one short day left before the US would have crashed into its first-ever default, Congress and the White House have finally settled on a deal on the debt ceiling. But while the “clear and present” danger of imminent default is out of the way (for now at least), the federal government’s antics surrounding the normally simple process of raising the debt ceiling have scarred the political system this country stands on. Anyone who’s followed the deliberations in the US Capitol over the debt ceiling has probably not been overly impressed with their elected officials in the past few weeks. As members of Congress, the president, the Tea Party, and leaders from both sides have gone at one another tooth and nail over the debt ceiling issue facing America. And finally, a deal has emerged between John Boehner and Harry Reid, the de facto leaders of the GOP and Democrats in Congress (respectively), a deal that the president is willing to sign. But this deal is still far from law. An ongoing debate in Washington still threatens to derail it, as members of Congress on both sides of the aisle have objections. The deal has unsavory aspects to both conservatives and progressives: it cuts less spending than the former would like, and has almost none of the tax increases the latter was angling for. This means there’s still a decent chance this deal won’t go through. But either way, this debate has already done serious damage to the federal government of the United States, and to the people of the country. Besides costing US taxpayers some $1.7 billion, this legislative monkey business has done real damage to the reputation of America’s lawmakers. Weeks of bickering and failed talks fulfill the stereotype that Congress is a lumbering legislative lump of inefficacy (alliteration always strengthens an argument, right?). Recent polls have shown that as many as 80% of Americans are dissatisfied with the actions of their representatives in DC. So who’s to blame? Who is the ringleader in this circus? But as much as I would like to blame the Tea Party for everything happening in Washington, the truth of the matter is ultimately that the ringleaders of this circus were put into place… by us. Back in November of last year, the US people showed their impatience with Democratic leaders by electing a flood of GOP Congressmen and -women. These men and women, many affiliated with the Tea Party, promised to cut spending and “big government” if elected, which is exactly what they’re trying to do (albeit in a highly illogical fashion). Who voted them into office? The American people. And while most of us certainly would’ve liked to see a more mature electorate running our country’s finances, those who put the monkeys in this circus (So to speak. Maybe.) in the first place have to share some of the blame. In a landmark speech on the Middle East, President Obama staked a strong position for the United States towards Israel, Palestine, and the conflict between the two nations. Rather than the usually-noncommittal tack taken by previous US leaders, Obama strongly stated that Israel and Palestine must set apart their differences, each recognizing the other as a sovereign, independent state. It’s been the unofficial stance of the United States for years that Palestinian borders should be restored to their positions in 1967, prior to the Six-Day War, in which Israel forced Palestine out of yet more of its territory, after having already been given Palestinian territory by the United Nations in 1947. But Barack Obama is the first US president to openly state that this will be America’s official policy toward the conflict. This is a crucial statement on Obama’s part, both politically and strategically. On the political side, Obama is finally reviving one of his campaign “promises” (I use quotes because all presidential candidates make promises that are unlikely to come to fruition; it’s how they get elected) by bringing up the issue of Israeli-Palestinian tensions. Strategically, Obama may have helped place himself on the right side of a coming conflict between Israel and Palestine. I say “coming conflict” because, unfortunately, it seems quite likely that another intifada may come along. The revolutionary spirit of many other parts of the Arab world could easily catch on in Palestine, and not necessarily in the peaceful ways it did in Egypt or Tunisia. The recent merger of Fatah and Hamas has Israel even more concerned, and the Palestinian plan for a unilateral declaration of independence at the UN’s General Assembly this coming September is pushing things to dangerous levels. Last week, Palestinians from neighboring countries marched on Israel, calling for recognition of a Palestinian state. 13 were killed by Israeli soldiers. All of these events, combined with the energy of the Arab Spring, may put Israel on very bad footing on the international stage. If Palestine can take the reins of this revolutionary fervor in a peaceful way, Israel will have to either make peaceful concessions or react oppressively to Palestinian desires. If Israel doesn’t acquiesce but instead reacts with repression, it stands to lose an enormous amount of hard-won respect around the world. Perhaps a new, peaceful intifada is in order. Instead of the bloodshed and violent hatred that marked the second intifada though, this revolution should be a nonviolent shaking-off (as the word intifada literally translates to) of Israel’s repression. Palestine must recognize Israel’s right to statehood, but Israel must do the same for Palestine. Only if these two peoples can see one another’s value will there be any true resolution. The news of Osama bin Laden’s death sent shockwaves through the United States. Barack Obama’s announcement of the mass killer’s demise was amazing and exhilarating to most Americans, and gave the President strong new legitimacy as the country’s leader and commander-in-chief. But it also presents a tricky and troubling question: If bin Laden has been hiding in a compound in Pakistan (see picture) for quite some time now, how did Pakistan not notice? Or more worryingly, why did they not tell the US if they knew where bin Laden was hiding? Osama was tracked down to a modest city in Pakistan called Abbottabad. It’s not particularly surprising or alarming that bin Laden was found in Pakistan. What is frightening is that he was hiding in the middle of a good-size town that is only around 50 km away from the capital of Islamabad. What’s more, the compound in which bin Laden concealed himself was only around half a mile away from a major military training academy. All of this adds up to yet more turbulence in the already complex and conflicted relationship between the United States and Pakistan. As I mentioned in a previous post, things have been tough between America and Pakistan as of late, and the discovery of bin Laden is unlikely to help things much. So far, Pakistan has played a key role in counter-terrorism operations and provision of intelligence to the US. Since the alliance between the two countries began after the September 11 attacks, Pakistan has generally assisted American forces in the fight against terrorism in the area. So the question of why they did nothing and said nothing about bin Laden is an important one. Bin Laden’s compound, which burned trash, had holes rather than windows, and featured walls up to 18 feet high, is hardly covert or discrete. And being just down the road from the Pakistan Military Academy, and located in a town known as a military stronghold, it seems ludicrous to say that no one in Pakistani law enforcement had any idea. Which leads to two possible answers as to why Pakistan’s lips were sealed about bin Laden: Either the Pakistani military and intelligence officials were incompetent, or they were intentionally harboring the most notorious terrorist in the world. Both possibilities are grim ones. Pakistani officials have also been questioning why the United States didn’t give them some warning or wait for permission to carry out such an operation within Pakistan’s borders. This is an understandable desire on that country’s part, but there are good reasons why they weren’t told. As I also mentioned in the above previous post, a serious trust gap is widening between the US and Pakistan. While neither side is directly scorning or condemning the other at this point, both sides are uncomfortable with one another. American leaders feel that Pakistan is not consistent in their handling of terrorism and in their alliance with the US. Pakistan, on the other hand, sees America as overstepping its boundaries with civilian collateral from US drone strikes, the discovery of a number of CIA agents operating in secret within their borders, and a general distrust of Pakistan’s leadership, especially the ISI. This led US officials, and rightly so, to refrain from informing Pakistan about the operation to take out Osama bin Laden. To inform any Pakistani leadership would be to take away the security of the operation; this would perhaps even have allowed bin Laden to slip quietly away from Abbottabad, even as American forces closed in on him. The simple fact is, the US simply does not know enough about Pakistan’s desires and goals as they relate to al Qaeda and the Taliban. It’s apparent that at least some factions of Pakistani leadership seek to keep certain terrorist cells and organizations in existence, as this could presumably offer them some benefit. It’s unclear whether keeping bin Laden alive was intentional on Pakistan’s part, or whether they were simply worryingly ignorant of his presence. Neither reason is likely to do much to help ease tensions between the US and Pakistan. With many questions yet to answer about bin Laden’s presence in Abbottabad, Pakistan is finding itself under pressure to explain things. Whether Osama’s conspicuous living in Abbottabad was allowed by Pakistan or simply overlooked, this revelation adds another strain of unease between these nascent allies.